The bar is an “Island Design “. This design allows for up to 5 people to sit around the bar. The bar top and front serving shelf was made from solid Mahogany. 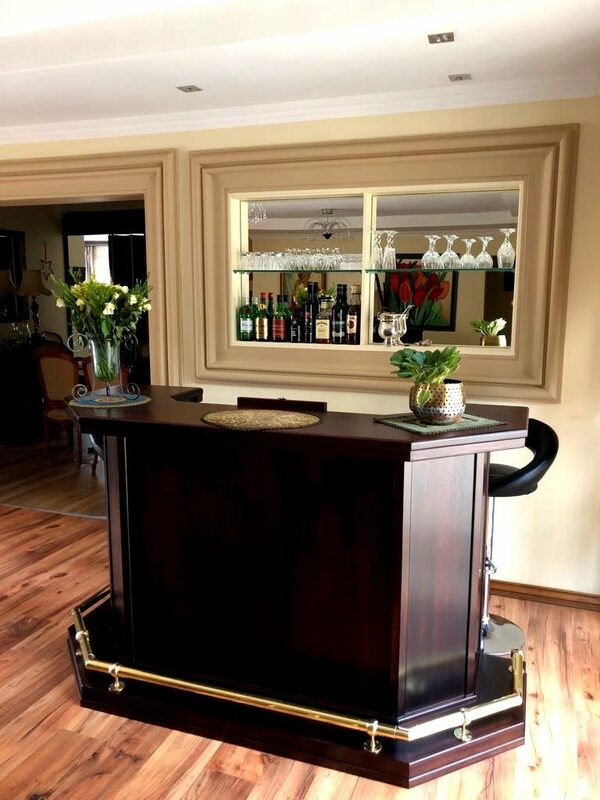 The frontage of the bar was constructed from Mahogany veneers with solid Mahogany framework. The skirting, edging and capping was constructed out of solid Mahogany. 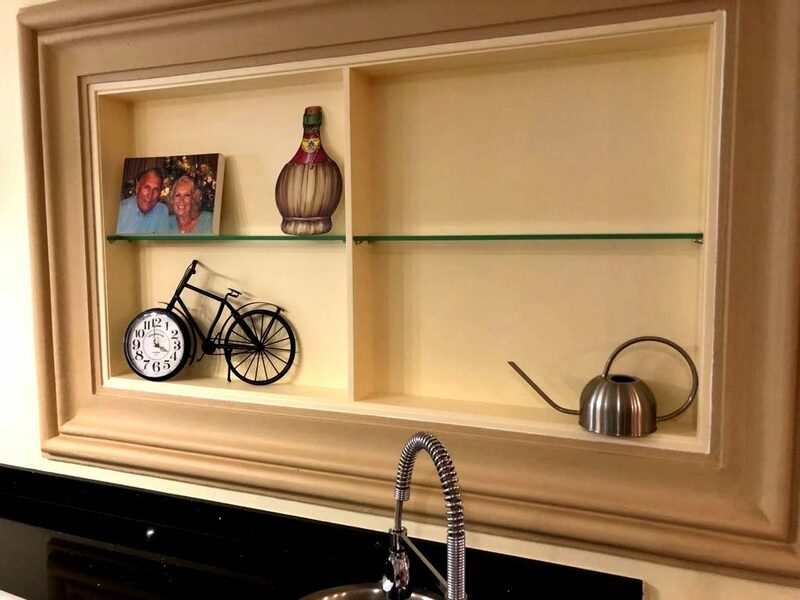 A serving shelf was installed below the bar top. A timber foot rest with a brass rail with brass supports was created at the base of the bar. A Duco painted finish of the client's choice was used for the divisions of the displays on the bar side and kitchen side. The displays on the bar side had silver mirrors and 10 mm glass shelves. The displays on the kitchen side had a Duco backing with the client's colour. 10 mm glass shelves were also fitted in this area.